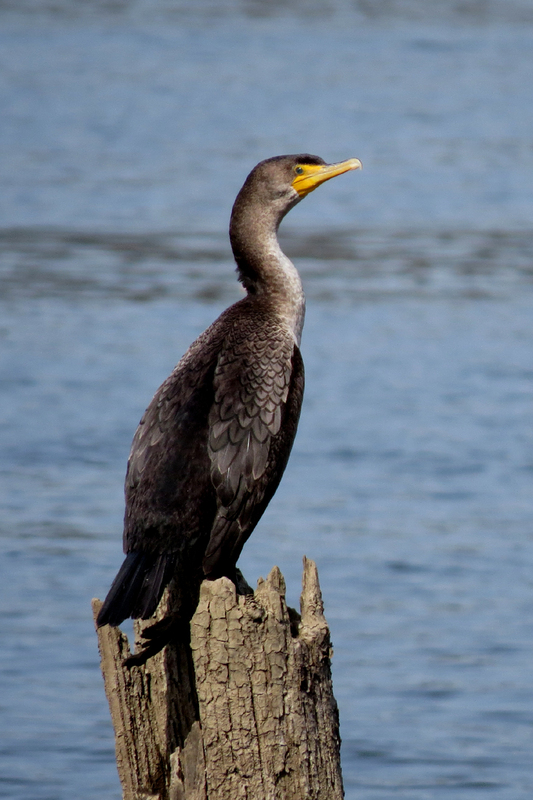 Double-crested Cormorants always put on a good show along the Willamette River in Portland. For being an all black bird, they really show a lot of interesting details in their plumage. The blue eyes on an orange face are also striking. This bird is just starting to sprout his crest feathers. This young bird is still showing his pale gray breast and neck, but the facial skin is getting pretty bright. 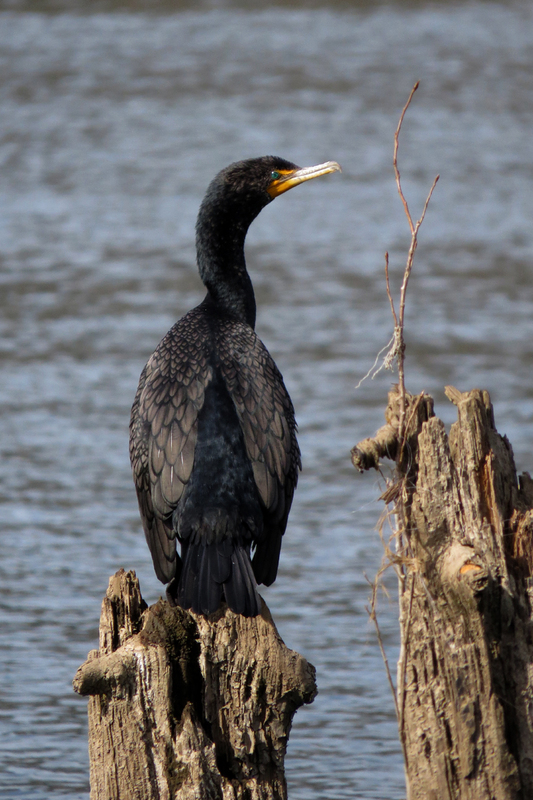 This is what it looks like when a cormorant catches a fish that is just a little too big. 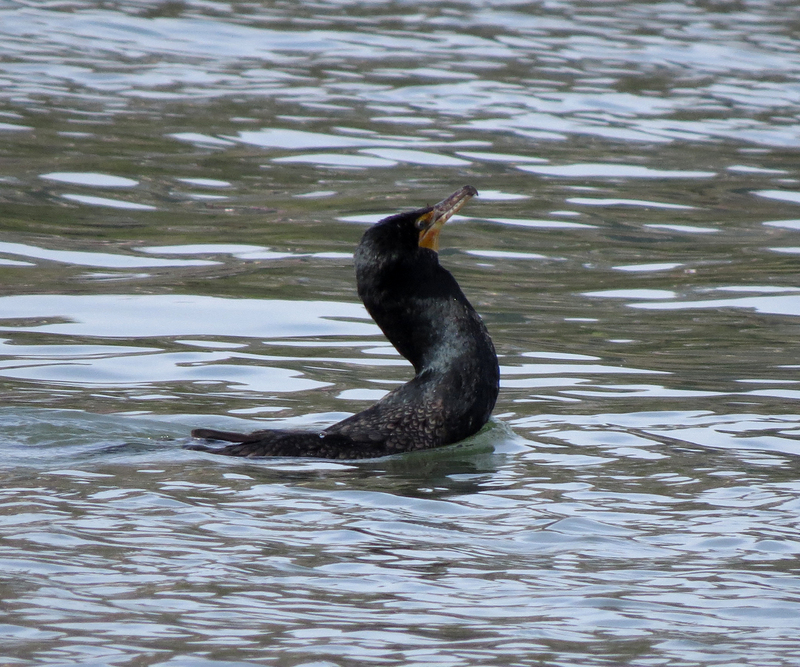 The bird swam around for quite a while with this odd posture and bulging neck. 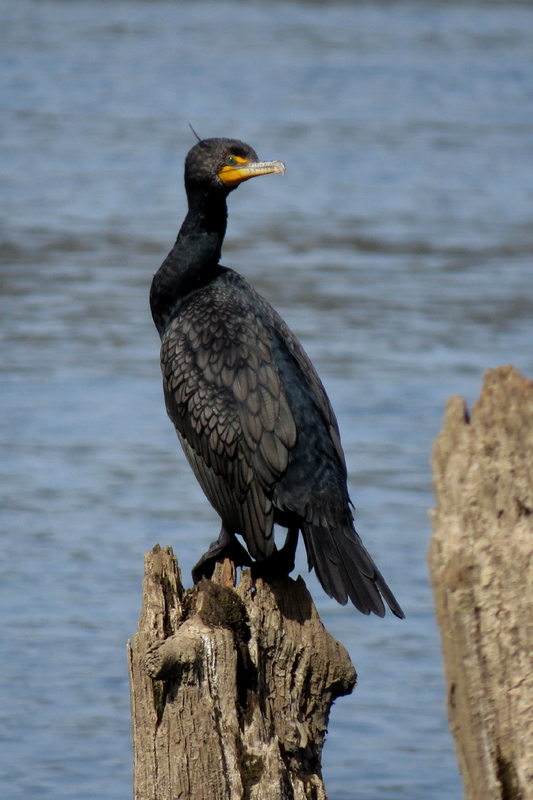 This entry was posted in behavior, species profile and tagged Double-crested Cormorant. Bookmark the permalink. Excellent shots and description! Wow that looks like a huge (what kind, how big?) fish going down in that last shot here?! Does the bird swallow it wriggling the whole way as well?